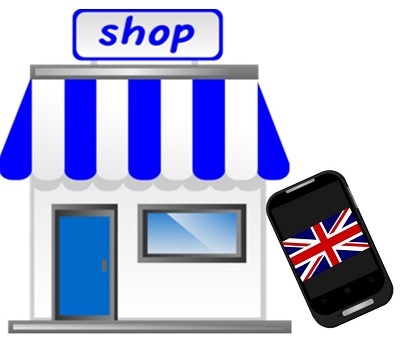 Despite reports of the meteoric rise of mobile commerce throughout the United Kingdom, the country’s small businesses have yet to show any real enthusiasm for the mobile space. According to new research from the Kalixa Group, only 2% of the UK’s small businesses are making use of mobile point-of-sale (POS) systems. Large businesses, like prolific retail brands, tend to be more accepting of mobile commerce, but smaller companies have yet to see any significant benefit from engaging mobile consumers in an aggressive fashion. One of the major barriers preventing small businesses from entering into the mobile space is cash flow. Mobile POS solutions allow these businesses to accept mobile payments, but these solutions tend to be somewhat expensive. Small businesses can rarely justify the extra cost of solutions that may not represent a sufficient return on investment. While some studies have shown that mobile consumers are more inclined to spend money when shopping, this may only be the case with larger businesses that offer a wide range of products and not so with specialty retailers and niche businesses. Small businesses are, indeed, interested in engaging mobile consumers, but are not yet willing to embrace mobile payments. Many small businesses are working to bolster their mobile presence by engaging consumers digitally, ensuring that their websites and other digital platforms are mobile friendly. While they are working on engaging mobile consumers on the digital plane, they are also beginning to focus more on mobile security to prepare for a potential future in mobile commerce. Kaliva’s research shows that most small businesses in the United Kingdom are primarily concerned with the security of mobile commerce. Many believe that the mobile space is simply not secure enough, leaving them exposed to significant financial risks. These businesses are beginning to take steps to ensure that they and their customers are sufficiently protected against digital threats.